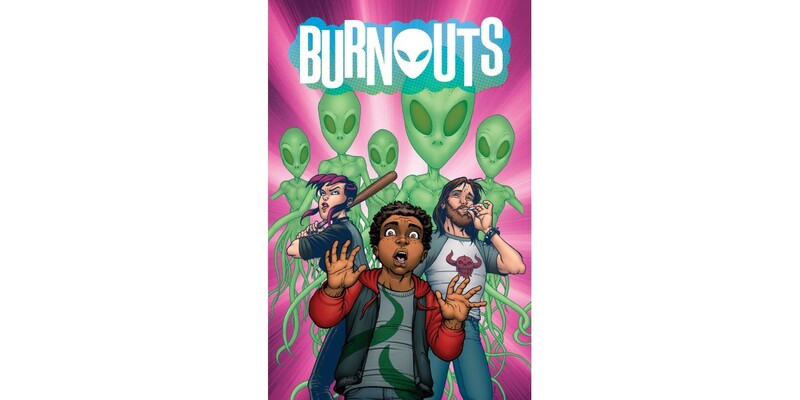 Writer Dennis Culver (E Is for Extinction) and artist Geoffo (layout artist for Marvel Rising) join forces for a new ongoing series in BURNOUTS launching this September. To save their friends and families, a group of high school teenagers must fight off an attack on their town by a secret alien invasion… but they can only see the aliens if they’re completely wasted. The Burnouts are saving the world one puff at a time.